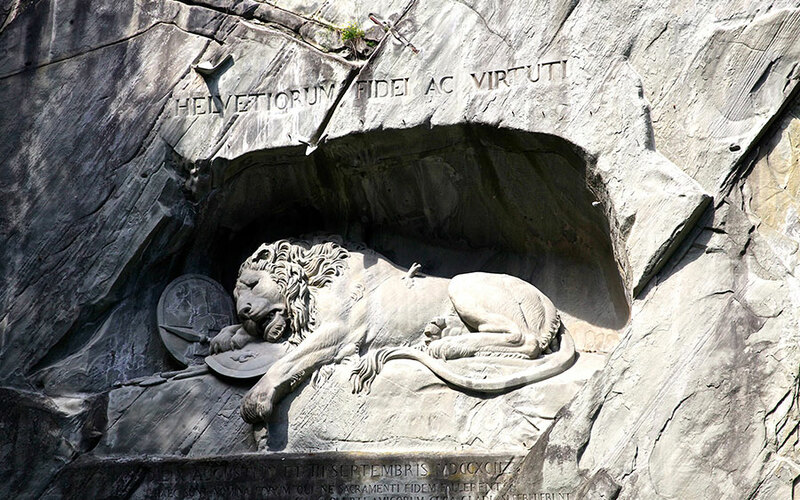 The Lion Monument in Lucerne is a structure of a dying lion carved out of a wall of sandstone above a pond at the east end of the medieval town. It is customary for tourists to visit the little park by a lake where this monument is built. It was designed as a memorial for the mercenary soldiers from central Switzerland who lost their lives while serving the French king Louis XVI during the French Revolution. When the revolutionary masses attacked the royal Tuileries castle in Paris on August 10, 1792, the Swiss mercenary troops tried to defend the royal family and make sure the royals could escape.